Good morning! 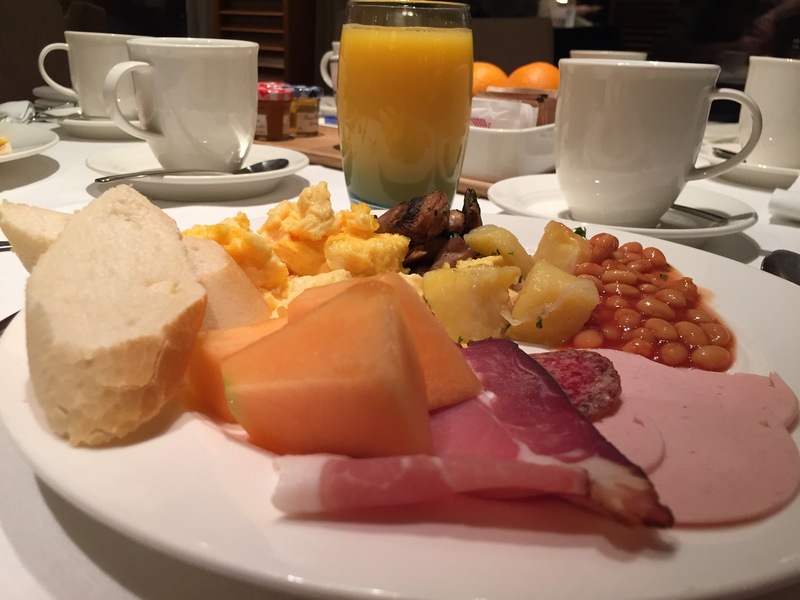 When traveling, it’s good to have a hearty breakfast, and to be flexible. Based on what we experienced yesterday in Passau, we realized our cruise was dependent on some key elements: the water level, patience and being on time. Apparently, our late departure from Passau made us late to Grein, Austria, where passengers were supposed to have disembarked at 8:30 to take a bus to the Melk Abbey. 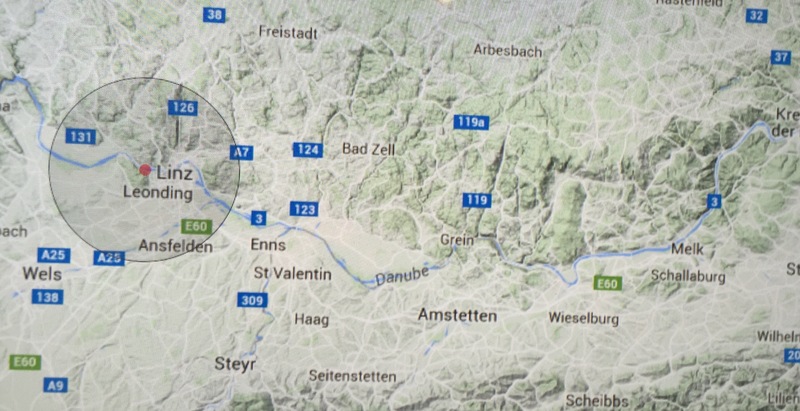 As of right now, we are not yet at Grein (circled area on map below is the Viking Var’s location). At 8:30, cruise director Tanya announced that our tour to the Abbey would be postponed to the afternoon, and the ship is not stopping at Grein, but continuing to Melk, which is looks like another 20 miles from Grein. 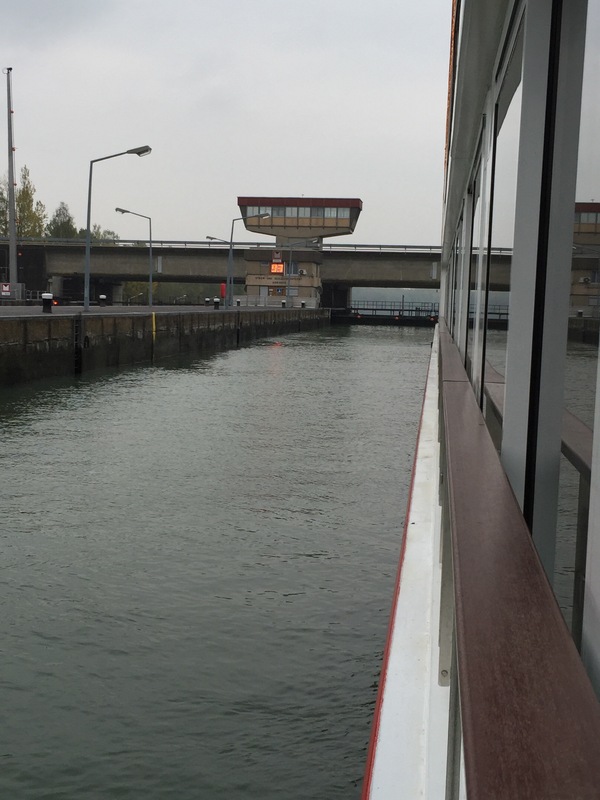 At 9:00 we approached another lock, where the ship has to slow down and wait for water displacement, contributing to our delay in getting to our destination. At 9:30 we received an announcement there’s an updated Viking Daily, with a new schedule. Looks like our original afternoon scheduled events have been moved to the morning, and our estimated arrival to Melk is now 2:30. The passengers will need to be ready to go when the Viking Var announces more updates and to remain flexible. For now, I’m going to take a cat nap until the Captain’s wheelhouse tour at 10:30.